Trail runners, do you suffer the embarrassment of continually being passed on hills? Legs aren’t what they used to be? You need the new Hill Climbing Helper®. The Hill Climbing Helper’s portability is the key! The Hill Climbing Helper® may look heavy, and it is, but that’s part of the genius of its design. Can be used on all your favorite trail runs! More effective than elliptical or stair-climbing machines! Increases safety. Eliminates fear of slipping or falling. 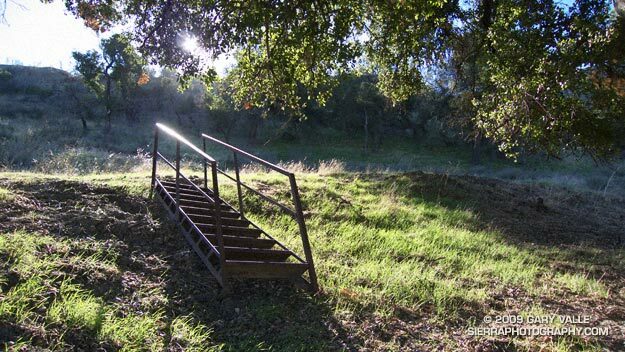 Includes 10 stairs and 2 hand rails. Constructed of the finest oil field steel – it will last for decades! You’ll notice the HCH difference on your first run!